Don brings over 35 years of business experience to KTP, as well as fifteen years of intensive experience in the area of health and welfare benefits. As Chairman and Founder, Don is not one to settle for the status quo. He is dedicated to helping clients navigate through the ever-changing landscape of product alternatives and government regulations to determine the best course, and has been instrumental in helping provide KTP clients with the best possible benefit solutions for their retirees. After receiving his undergraduate degree from Brown University and completing his graduate work at Florida State University, Don entered the private business sector in Rhode Island. Prior to founding KTP, Don was Vice President of Marketing at both Group Benefit Advisors and Benefits Unlimited, two leading insurance brokerage firms. 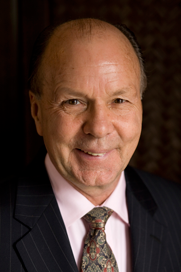 Earlier in his career, Don served as CEO and president of his own real estate development firm for over 20 years. This experience, and his volunteer work with the South County JC’s and the Ocean State Adoption Resource Exchange, gave him a unique perspective on working within the community.